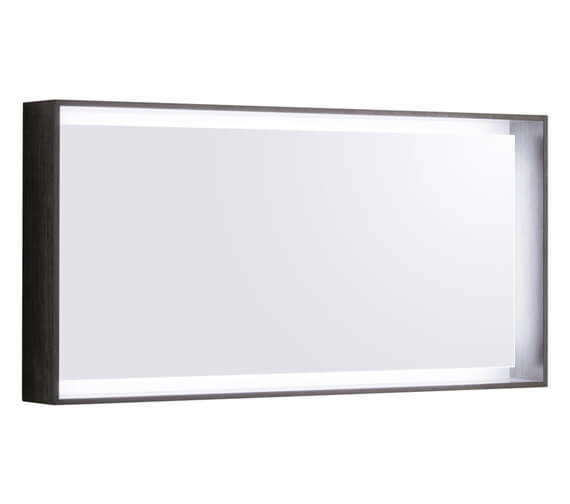 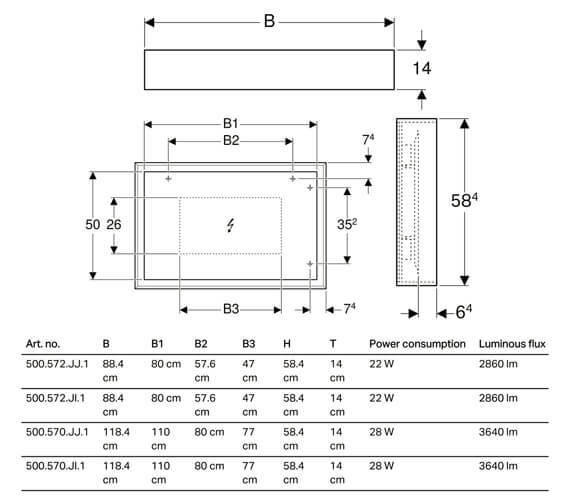 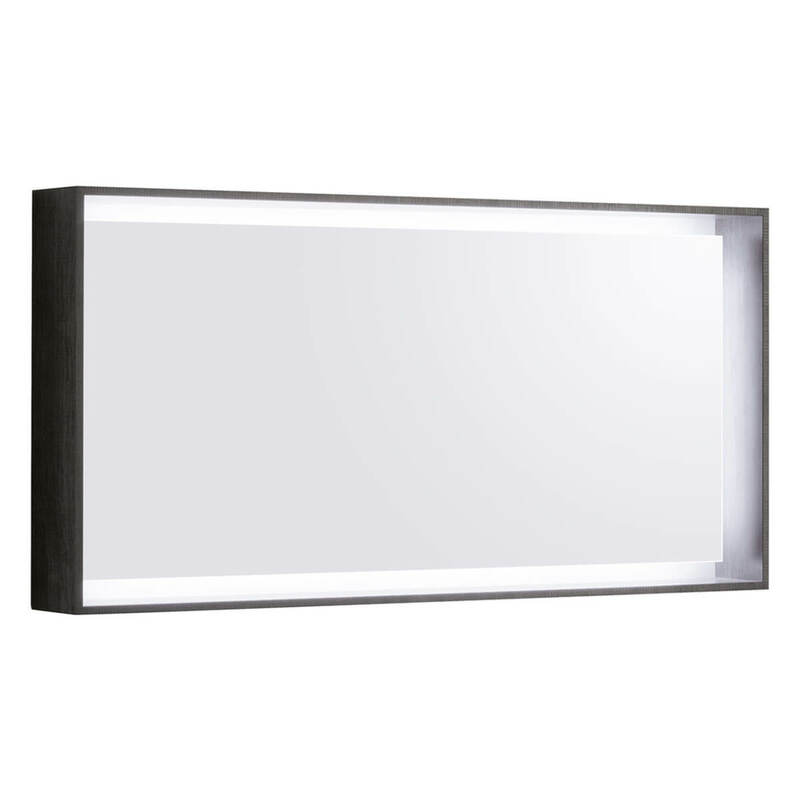 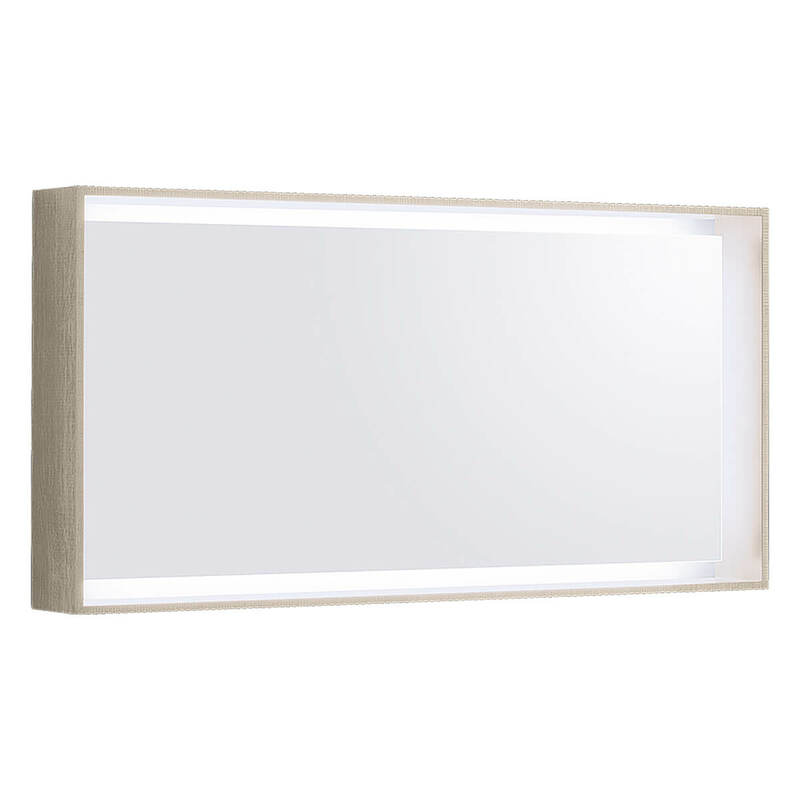 The Geberit Citterio 584mm High LED Illuminated Mirror is an IP44 rated mirror with an operating voltage of 12 V DC. 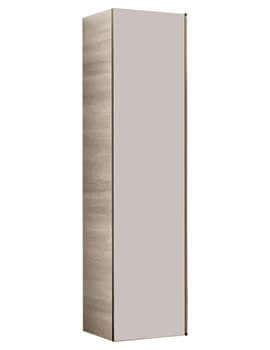 A++ energy class rated and available in two possible widths, this unit is made to use very little energy and take up only the space needed for full installation. 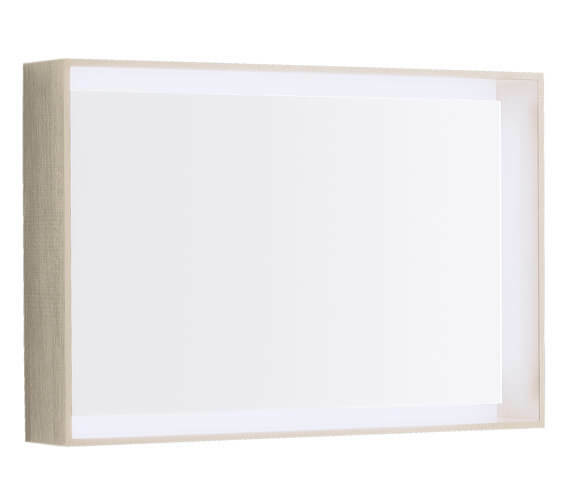 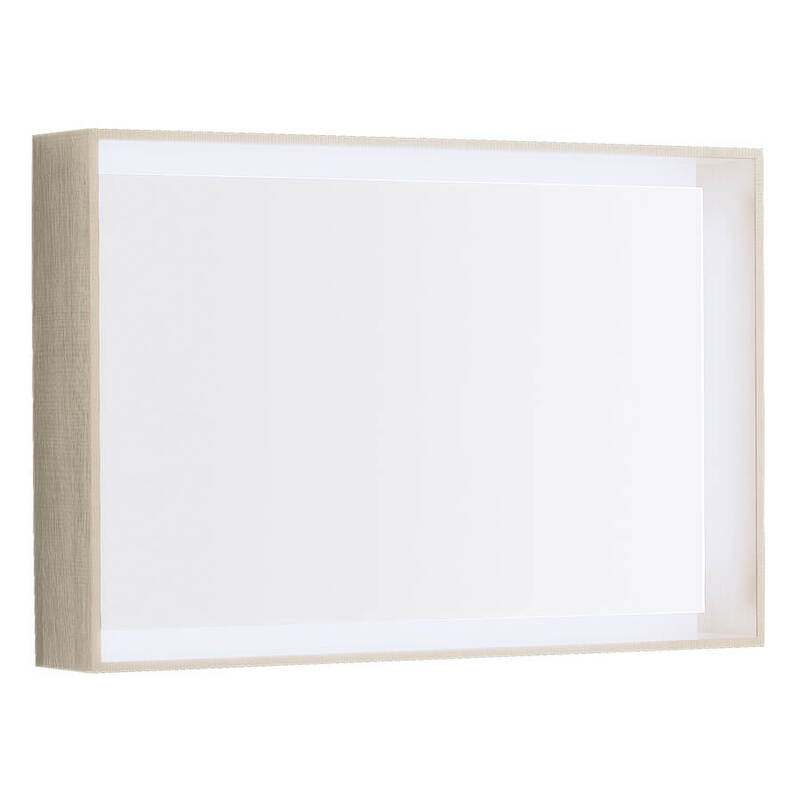 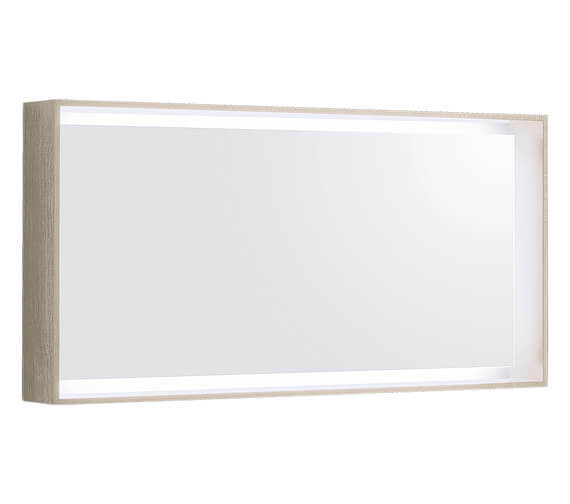 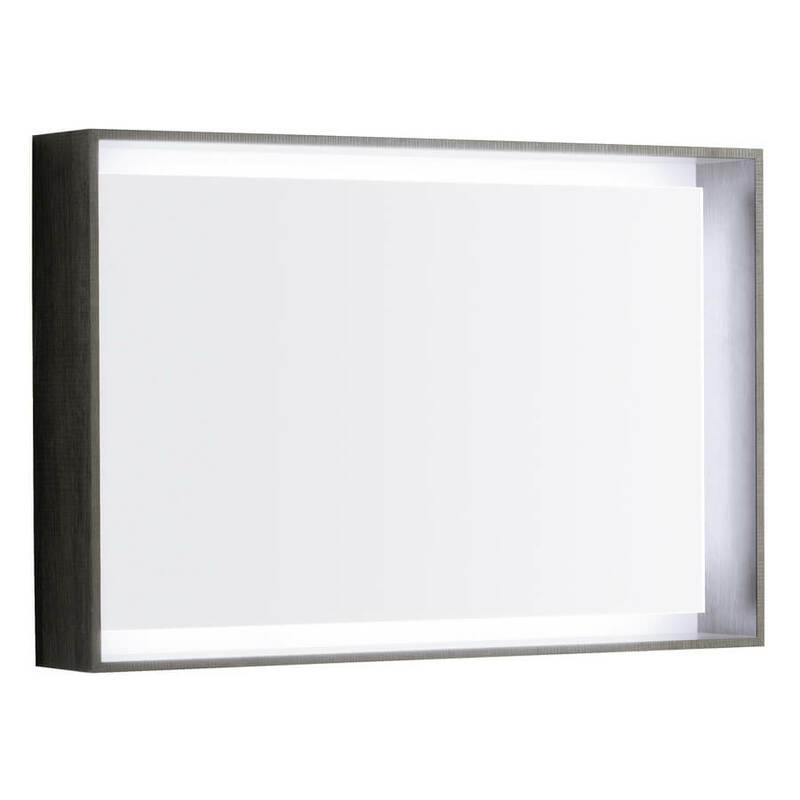 A model constructed from crystal-clear glass and surrounded in a solid wood frame, this product also features an LED light strip as part of the frame that is easily controlled via a wall switch set-up. 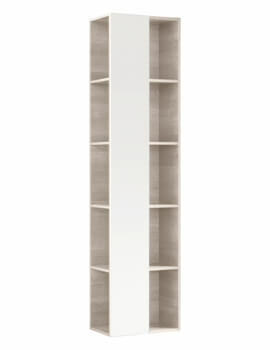 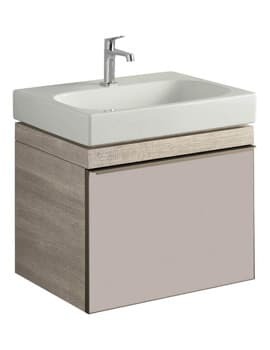 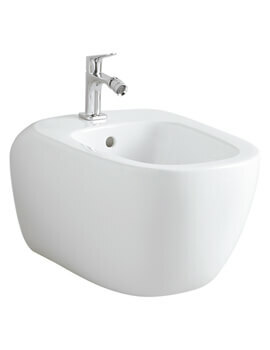 Available in two finishes to choose from, this model is versatile enough to fit into any bathroom or similar area for use. 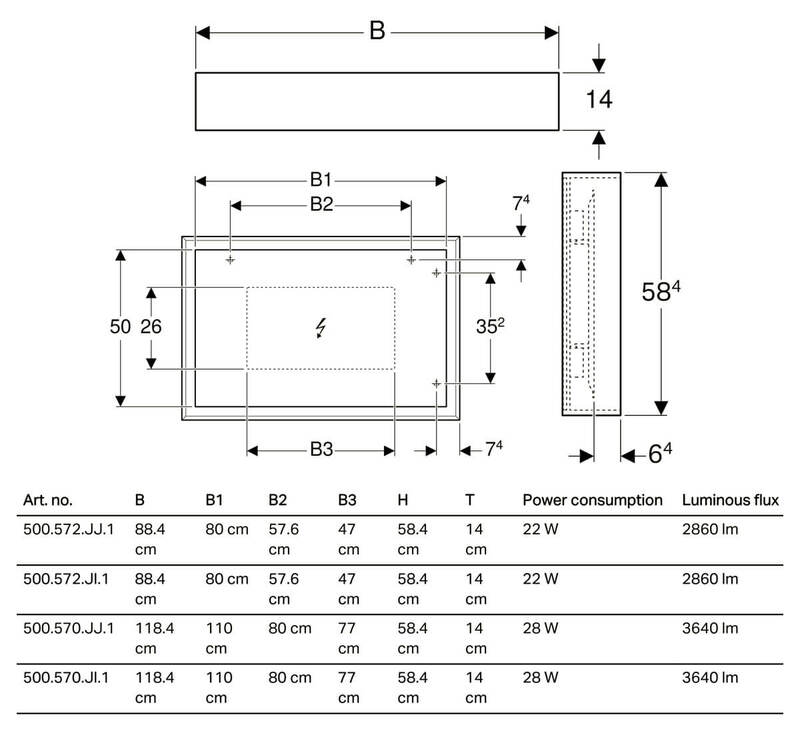 Please refer installation and care instructions PDF from below.